Jonathan Lethem's new book, The Feral Detective, is out now via Atlantic Books, and in German as Der wilde Detektiv via Klett-Cotta Verlag. 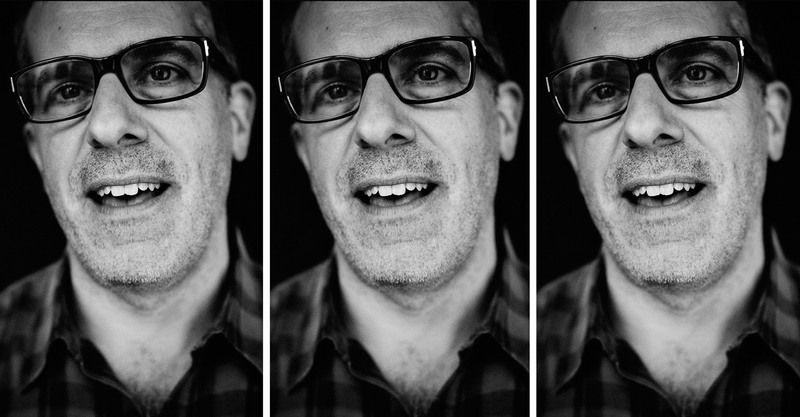 Mr. Lethem, you’re often described as a cult writer — do you like that description? I have no difficulty with it, but it can also be confusing to me, actually, because I expected to be more marginal than I am. Writers I revered the most and identified with the most were often not famous until after their deaths; I expected that this would be my situation. So, you discover your fate as a writer. When did you realize things were different for you? In the middle of my writing life, after Fortress of Solitude, I realized I’d taken a different role and it had different demands and different opportunities attached to it. There was some adjustment to this, to not working from the margins, not working from a condition of exile. So for a while, I was pretending I was more marginal than I was. I think I may still pretend this. It’s helpful. (Laughs) Be a dark horse! You’ve had a much better outcome: you have an incredibly devoted fan base who will read your work no matter what. And I’ve done many different things! The patience of my readers with my changes of strategy and form is something I’m very grateful for. I also associate the term “cult” with many of the writers that I grew up loving. Charles Willeford, Jim Thompson, Patricia Highsmith... But when I write in my particular mode, it’s really Raymond Chandler and Ross MacDonald above all who I’m emulating. They are the two most important to me in the formation of my style. The hardboiled style of the California detective was where I began: my first novel, Gun, With Occasional Music, is in this style. I’m a very discursive writer sometimes and I think the hardboiled style was a teacher for me. It helped me discover the essential elements in my storytelling so I relied upon it from time to time as a kind of home that I visit. It’s the cradle of my prose style. Most people’s idea of crime fiction is a “whodunit” type of mystery that revolves around clues. I don’t think very much about this mystery and solution. I don’t really work in that way. The idea of distributing clues doesn’t interest me very much and so my mysteries are really not like Sherlock Holmes stories. I’m more interested in the atmosphere. I think it’s good to be upset by your own discoveries as a writer, for example. It’s also good to be amused and consoled and… You’re devising an experience for another human being and you’re the first experiencer. It has to be something. It has to be intense. It seems like hard work for you as a writer to go through those motions during every novel. I think James M. Cain said, “Writing is easy, all you have to do is sit in front of a typewriter and stare at the blank page until drops of blood appear on your forehead.” (Laughs) So, yes, it is very hard work, and there are days where there’s something I have to do in the book, something I have to learn or put myself and the characters through that I am… That makes me fearful or sorrowful. But I do think also that this aspect of writing is over reported at the expense of the pleasurable aspect as well. If writers didn’t love to be in this space between themselves and their language, they probably wouldn’t do it. You’d give up. Especially if you’re spending years on it! Right, and I’ve written some long books in the last 10 years! Who is usually the first reader of your manuscripts? I look for unique readers each time. I’ve always looked at the books and tried to imagine who could help me and usually it’s other writers. It’s a different group each time — partly because I think it’s a very big thing to ask of someone, so I don’t like to go back to people and ask them again. But also, it’s a waste of time if someone does it politely. Then it would be useless. Yes, exactly. So, I do listen very closely, and I change what I can. The problem is sometimes a book has its own iron clad sense of itself, it’s dictated its own terms. And some of those you can negotiate, and some of them you have to accept. My most recent work, The Feral Detective, though, was a great relief because it was the fastest I’ve ever written a book. I wrote it in about 10 months, which is much faster than any of my others! Usually I sacrifice at least three years to write a novel in the majority of cases. So this was a kind of gift. Once I understood Phoebe’s, the narrator, voice and how the book was going to function, it just announced itself to me. It came very quickly to me. Are there any subjects you find especially difficult to write about? Well, I would have found it very difficult to write about politics in a direct sense. But in Feral Detective, there’s a sleight of hand, a trick, because it mentions contemporary politics but it’s really a book about running away from this into eternal issues, into the desert, into the landscape, into the problem of men and women. It’s really about this fantasy of escape from the binary system of oppositions into some new frontiers and new space. And that was possible for me to write, certainly because I felt it very strongly, the desire to escape. Sheila Heti said that writing is a really magical way of being alone. Is that something you seek out in writing? Escapism is an interesting word. The imaginative space to me represents less escape than necessary projection — which doesn’t mean it doesn’t involve pleasure or fantasy or wish fulfillment, but this is also how we live, this is how we create a utopian possibility for ourselves: by being capable of imagining things other than they are. So this desire to me doesn’t seem escapist, it seems nourishing.